Boxing is a weight class sport. That’s one of the beautiful things about it. Great athletes of all different sizes have been able to forge their names into the granite of eternity. But in terms of mainstream popularity, the Sweet Science has always relied on the heavyweight division. And American heavyweight fans have hungered for a new hero for a generation now. The leading candidate to win that spot is Deontay Wilder. But while he has accomplishments to be proud of, the WBC belt holder has hardly locked down the sort of status enjoyed by true heavyweight legends. 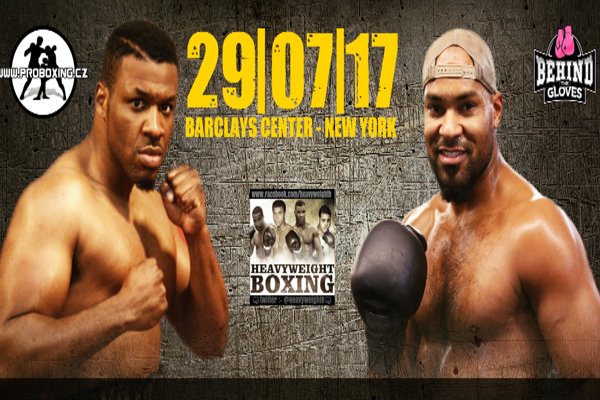 Brooklyn native Jarrell Miller is one contender who would like the opportunity to push Wilder to the side. He will take a step in that direction this weekend when he faces Gerald Washington in the Barclays Center. On paper, Miller has at least some of the pieces of what it takes to be a heavyweight star. He has larger than life personality and size, standing 6’4″ and tipping the scale between 280 and 300 pounds. Known as Big Baby, he is presents himself as a natural extrovert. He’s 18-0-1, with 16 KOs, but so far he has yet to face anything like a true contender. His best wins are knockouts of Donovan Dennis and Fred Kassi. Those are the type of wins that suggest a fighter might be a contender, but they hardly prove it. Washington will prove a more meaningful measuring stick. He’s fringe contender, but a contender nonetheless–he’s been in the win with some very good competition. He drew with Amir Mansour and defeated Eddie Chambers. More to the point, Washington was knocked out by Wilder last February for his first loss. So he is at a point in his career where he still has plenty to fight for–if he can turn back Miller, he’ll demonstrate he is a top-line gatekeeper, if not quite an elite contender.